Monarch Air Group provides private air charter in Greensboro, NC. Our clients benefit from top-notch service, unrelenting dedication to safety, wide selection of aircraft, and years of experience in chartering private jets. To obtain a free quote, please use our online quoting tool provided below, or call toll free 1-877-281-3051. Monarch Air Group provides private jet charter flights in and out of Greensboro, North Carolina, USA. 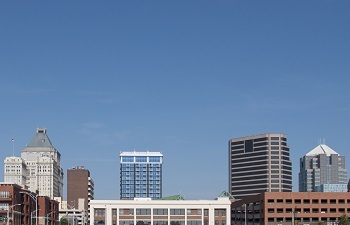 Situated on the hilly Piedmont Plateau on the Eastern Seaboard of North Carolina, Greensboro boasts rich culture, history, arts, and numerous recreational facilities. Due to perfect city’s location, it’s a comfortable place for conventions, meetings, and different kinds of social events. There are many historical buildings, national landmarks, fine arts museums, and parks. While visiting Greensboro be sure to see the Greensboro Coliseum Complex and its National Science Center. 1. DAN, Municipal, Danville, United States. 2. GSO, Piedmont Triad Intl, High Point, United States. 3. HBI, Asheboro, Randolph County, United States. 4. INT, Smith-Reynolds, Winston Salem, United States. 5. RDU, Raleigh-Durham International Airport, Raleigh/Durham, United States. 6. SOP, Pinehurst-S. Pines, Southern Pines, United States. 7. SRW, Rowan County, Salisbury, United States. 8. SVH, Municipal, Statesville, United States. 9. ZEF, Elkin Airport, Jonesville, NC, United States. 1. O Henry Hotel, 624 Green Valley Road, Greensboro. 2. Proximity Hotel, 704 Green Valley Rd, Greensboro. 3. O Henry Hotel, 624 Green Valley Road, Greensboro. 4. Biltmore Greensboro Hotel, 111 West Washington Street, Greensboro. 5. Proximity Hotel, 704 Green Valley Rd, Greensboro. 6. Sheraton Greensboro Hotel At Four Seasons, 3121 High Point Road, Greensboro. 7. DoubleTree by Hilton Hotel Greensboro, 3030 High Point Road, Greensboro. 8. O Henry Hotel, 624 Green Valley Road, Greensboro. 9. Biltmore Greensboro Hotel, 111 West Washington Street, Greensboro. 10. O Henry Hotel, 624 Green Valley Road, Greensboro.